In case you're not up to speed, this is the third post in The Great Blogger Bake Along series. Read about it here. Ahhh ciabatta bread. I was super excited for this bake, because Tom and love a good pice of ciabatta. Though, I have only ever had it in small, square loaves, so having them in almost a baguette shape seemed odd to me. Create a crisp, floury surface with visible air holes. This is an Italian bread that was created to compete with the French baguette. Paul Hollywood remarked on the show that if you bake the bread to early, the holes will be too small, but if you let it over-prove, it will go flat. There's a fine line of when to stop the prove and get it baking in order for it to turn out just right. I over-proved! I never thought this would happen to me, because I am NEVER patient when it comes to letting things rise and am always one to under-prove, but my sad little loaves came out flat as could be and very long instead of wider. This might have been due to the fact that it called for instant yeast and so the activation happened much quicker? But, my mom used regular yeast, and hers came out flat too. This was a tougher bake than I had expected! However, the flavor was to die for and we ate two loaves within two hours of taking it out of the oven. It also had a nice hollow sound when tapping on the bottom (good sign) and had a perfectly crisp, chewy crust. Next time, I would prove it for less time, and somehow try to get the loaves a little wider. 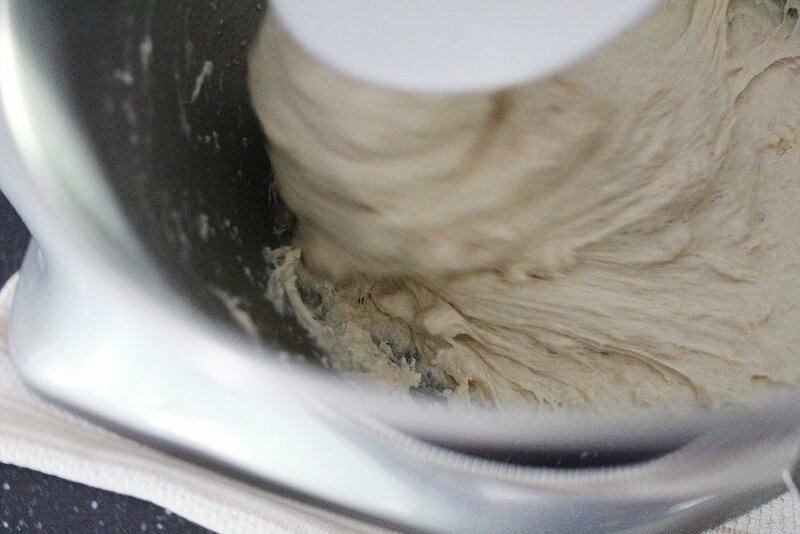 I am always one to shy away from bread baking because of rise-times and fussy doughs, but I think the more I make bread, the more comfortable I am with trying it. Would either of us bake this bread again? Yes! Ciabatta is a good staple to have in your bank of skills, and it's fast and delicious. See what a mean? They need to be a little higher and wider. Nevertheless, so yummy, and a fun challenge! This is from Episode 3, Season 1 on Netflix. If you watch, you'll see many of the bakers had some of the same issues. "I looked forward to this bake the most so far. Bread is a staple in every country in the world. A simple bread has minimal ingredients and each culture has their own adaptations. My Mom baked every Saturday without fail. Finnish light rye bread and Cardamom Coffee braid. The smell that permeated the house will not be forgotten. I have never made ciabatta. It was amazingly simple. I give it an A+. A few ingredients and a mixer with dough hooks and I was on my way. I used regular yeast rather than quick rising so I had to raise mine a bit longer than the recipe noted. I also use a convection oven when I bake and am always pleased with the result. 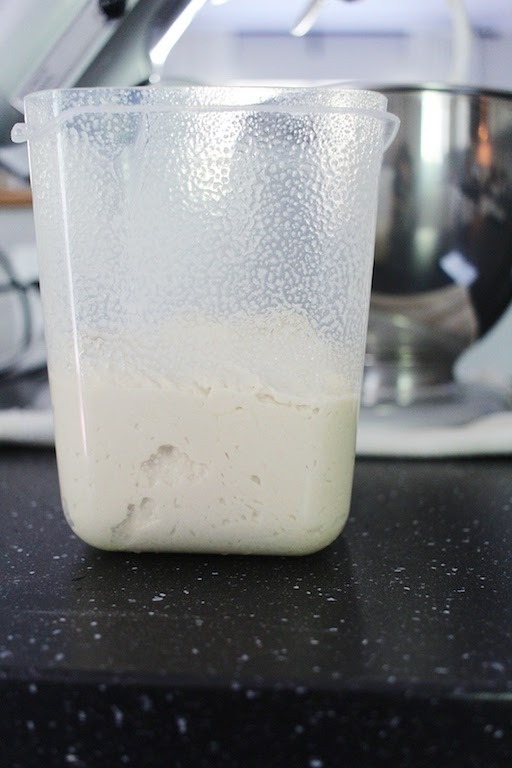 My pictures show that the air holes in the dough were present which is important in ciabatta. It is a flat bread, but a very nice staple with soup or salad. Don't be afraid to try this recipe. You will see that bread baking can be done. In one of my pictures are two lovely books on bread making if you want to get into it further. P.S. It is suggested to let it cool completely, but don't forget the pleasure of warm bread with butter. Enjoy!" Bake #3 is done! Join us next week for a challenge I am particularly nervous for... Don't forget to hashtag your photos with #JoyLynnBakeAlong for a feature!